When love is in the air, it's always a good idea to have a cocktail in hand that matches the mood. 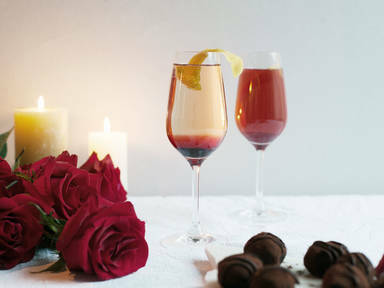 Enter the Kir Royal, a French cocktail that combines two Valentine's Day essentials: Champagne and the color pink. Simple but festive, it's the perfect aperitif for a memorable night. Watch the video for the full recipe!